In a piece released yesterday in the UT San Diego titled “Busting myths about water shortage,” Department of Interior Assistant Secretary for Water and Science Anne Castle emphasizes there is no single solution to bridging the water supply-demand gap we face in the west, but that we must take an integrated approach that does not sacrifice agriculture or the environment. “Retiring too much farmland will harm our economy in the Southwest, our food security and our quality of life,” Castle writes. Agriculture is the largest water user in the west, consuming around 70% of the Colorado River Basin’s fresh water supply. It’s the first place most look for new water supply, and has often meant taking farmland out of production. Western agriculture matters not just for people living in the west, but for people across the nation: Over 15% of the nation’s crops, and around 80% of our winter vegetables are produced in the west using primarily Colorado River water. But progress in collaboration, such as with the Basin Study work groups of which NYFC is a part, is urging a more dynamic approach to these challenges. 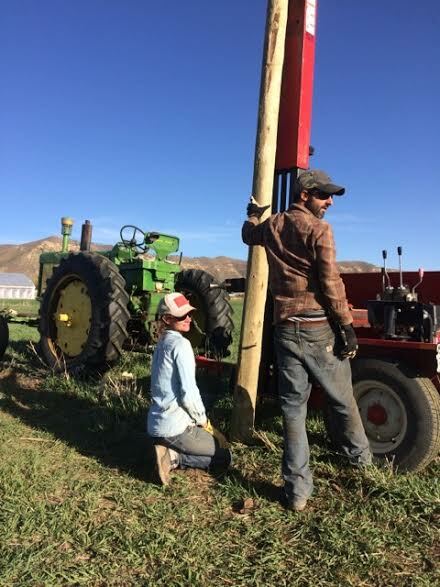 NYFC is working with partners across the West to ensure a sustainable future for farmers and the environment, both of which will be ever-more critical under the pressures of a changing climate and growing population. So can we have it all? Will we be able to reduce the pressures on the Colorado River while supporting our farmers and protecting the environment? That will be for all of us to decide. Tags: Assistant Secretary Anne Castle Basin Study collaboration Colorado River colorado river basin study environment healthy flows water Western U.S.